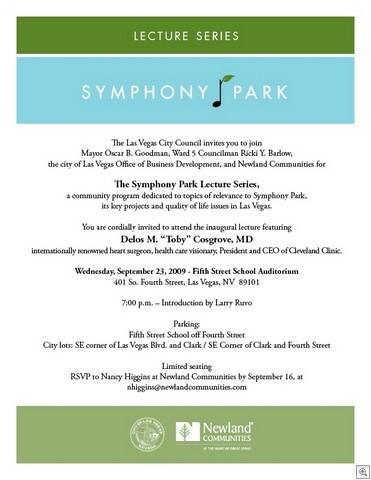 Another addition to the cultural line up and diversity in Downtown Las Vegas is the Symphany Park Lecture Series. The first guest speaker will be Delos M. “Toby” Cosgrove, MD, who is the president and CEO of the Cleveland Clinic. 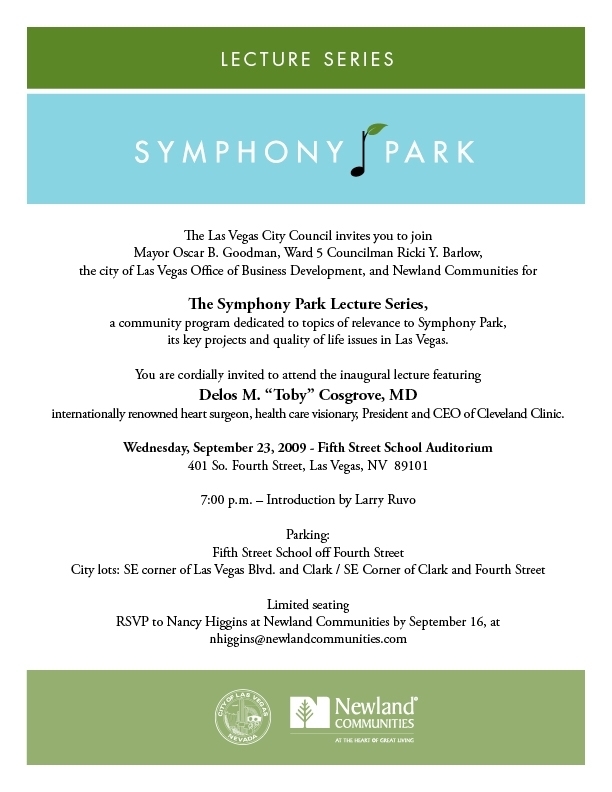 Symphony Park is the new name for Union Park –Mayor Goodman’s infamous 61 acres. It will be the home of The Smith Center for the Performing Arts, The Charlie Palmer, Newland Communities, The Cleveland Clinic Ruvo Center for Brain Health, the World Jewelry Center, and Forest City.